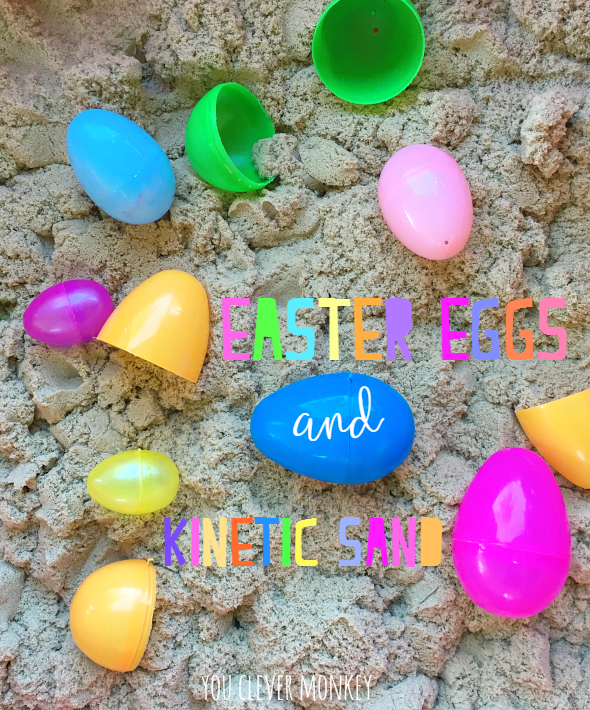 Combine Easter eggs and kinetic sand to create a unique invitation to play and learn about 3D shapes during play! 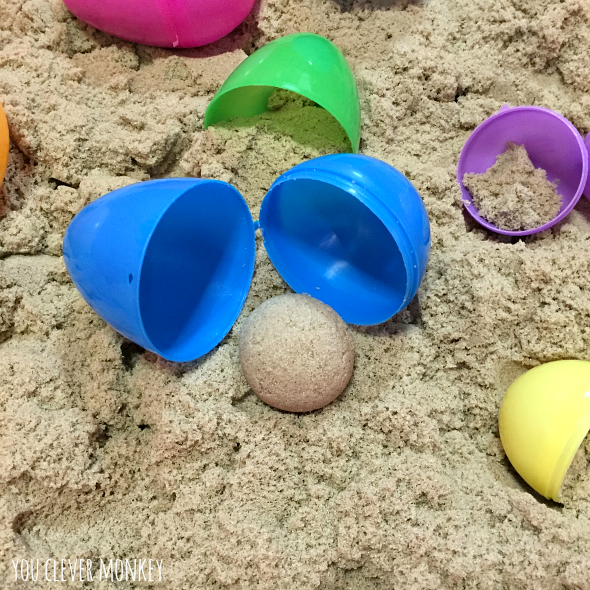 Looking for a simple Easter invitation to play? 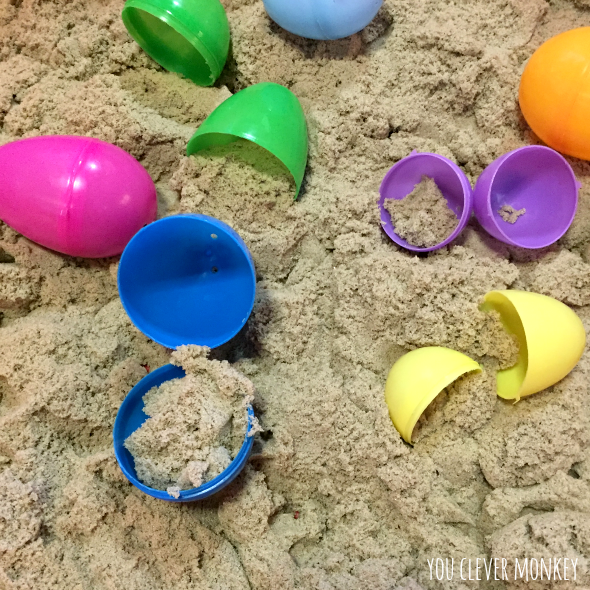 This activity was easy to set up and provided hours of sensory rich play for the preschool children I get to hang out with. The best part about invitations such as this one, is that you can never predict where the play will lead you or what you might learn. Even I was surprised with what we learnt about 3D shapes during our play! 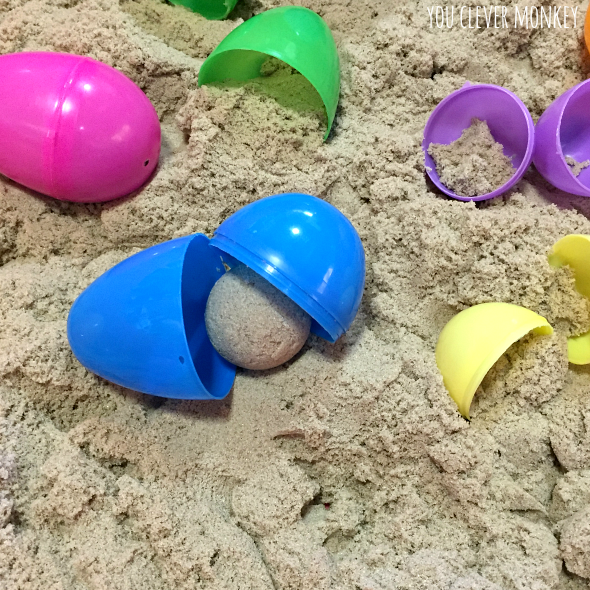 To start, simply add it all together and invite the children to play. While we were playing we discovered something. 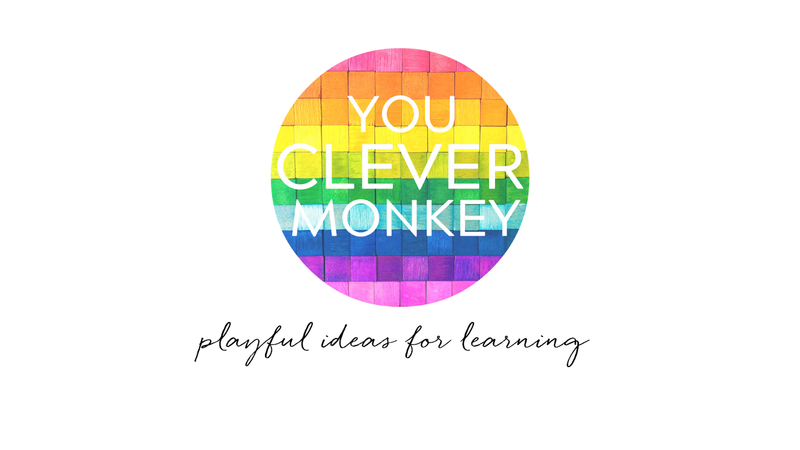 Watch this short video I made at home with one of my own children to see what we found out during play. Isn't that amazing? 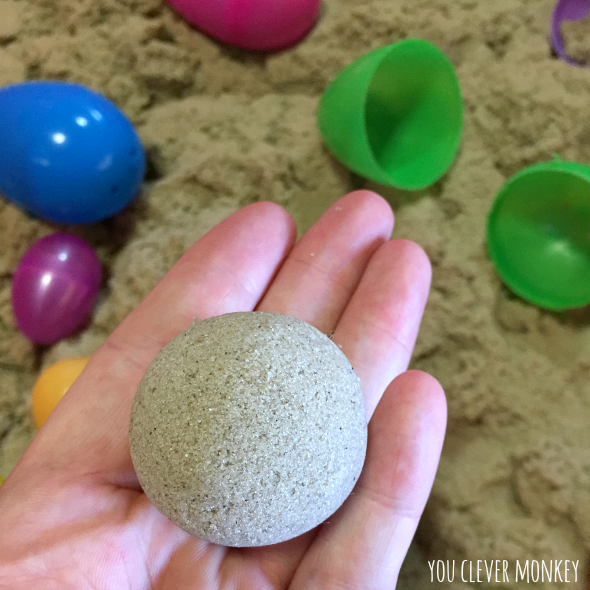 With a bit of (gentle) force and some round surfaces, we could make a perfect sphere from the kinetic sand! 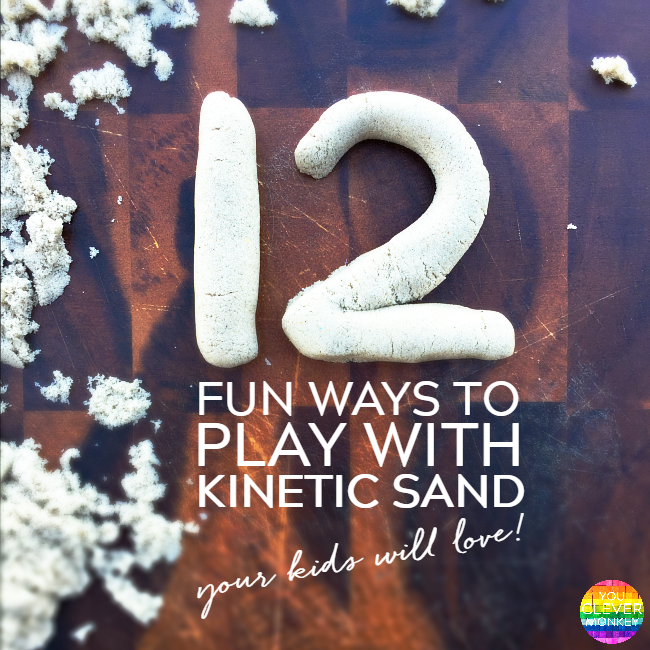 Want more kinetic sand ideas? 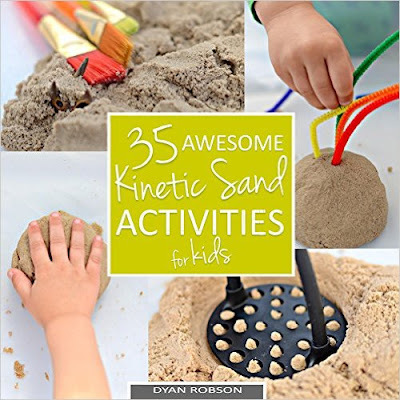 You'll love this Kinetic Sand Activities book! 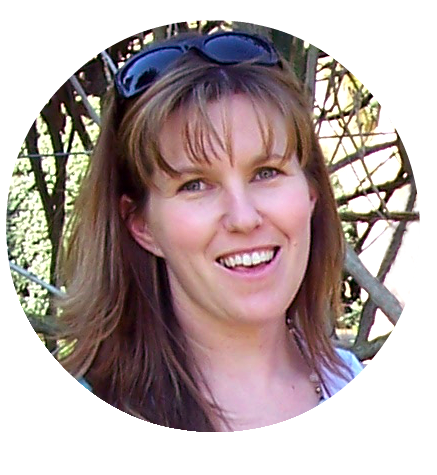 grab a FREE copy of our 50 Time Saving, Easy to Prep Literacy Centres guide!